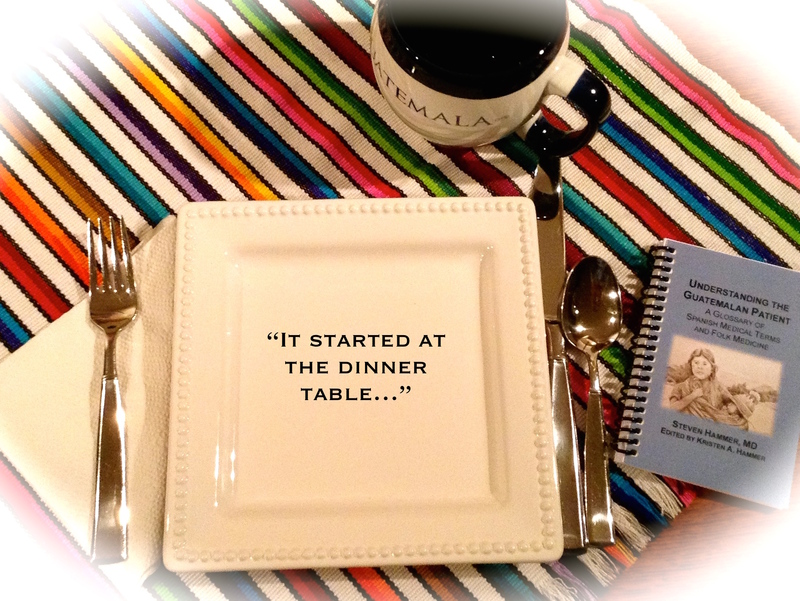 It started at the dinner table in our home in Guatemala – the same dinner table that Dad (Dr. Steven Hammer) and some friends had made years earlier out of two sheets of plywood. At that dinner table, Dad began pulling bits of paper out of his shirt pocket. Those bits of paper held his notes about words or folk medicine practices he had learned from his patients that day. As he read his jottings to us, some made us curious and ask questions, some made us groan, and some made us laugh. You see, while Guatemala’s national language is, of course, Spanish, twenty-some Mayan languages are still spoken there as well. During the nine years Dad spent in Guatemala, he served many patients who spoke Spanish as a second language and, thus, used some words differently or mixed with their Mayan tongue. Combine that fact with an average education level of second grade and you have a recipe for some pretty interesting health ideas! Throw in Guatemalans’ love for slang, and your conversations are bound to be as flavorful as a Christmas tamale. I personally found those mealtime conversations intriguing. After all, I was the girl who had considered becoming a brain surgeon and a writer. Dad’s stories from the clinic melded my interest in science and my love for words and people together. Those mealtime conversations were the start of Understanding the Guatemalan Patient: A Glossary of Spanish Medical Terms and Folk Medicine. More importantly to me, they and other conversations with the many visitors who ate with us are among my favorite Guatemala memories. American Diabetes Association, “Overall Numbers, Diabetes and Prediabetes” http://www.diabetes.org/diabetes-basics/statistics/ (accessed 21 September 2015). This entry was posted in Food for Thought, Inspiration and tagged community healthcare in Latin America, familia, family, healthy eating, healthy kids, healthy living, Hispanic foods, juvenile diabetes, la vida sana, meals, National Hispanic Heritage Month, preventing diabetes on September 22, 2015 by stevenhammermd.